Dubai’s efforts to attract more business and leisure visitors from Asia have been given a boost with the launch of a new daily Emirates flight from Phnom Penh in Cambodia. 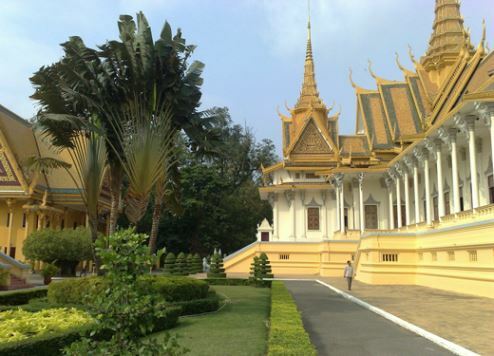 The service links Dubai to the Cambodian capital via a stopover in Yangon in Myanmar. Operated by a Boeing 777 aircraft, the new Phnom Penh to Dubai service broadens the airline’s network in Southeast Asia to 13 cities in eight countries. Phnom Penh, the first destination within Cambodia to be served by Emirates, is one of the fastest-growing economies in Southeast Asia. As the country’s largest city and the most important commercial centre, Phnom Penh makes a significant contribution to the country’s economic development. The city is also a growing source of trade and tourism for Dubai. In May this year, Asia was the third fastest-growing source region for air passenger traffic at Dubai International (DXB), according to operator Dubai Airports. Passenger numbers from the region grew 9.7 percent due to more flights and capacity on flights from Asia to Dubai. Dubai Tourism is targeting Asia as a key source region for tourism business, with China and India already proving the biggest growth markets. Q1, 2017, overnight visitor figures reveal that China and India both delivered double-digit growth. From January to March, 2017, China accounted for 230,000 overnight visitors, up 64 percent compared to the same period the previous year. The People’s Republic is now the fourth biggest source country for tourism to Dubai. During the same period, India became the first ever market to record nearly 580,000 visitors in any one quarter, with a massive 23 percent growth in arrivals between January and March.